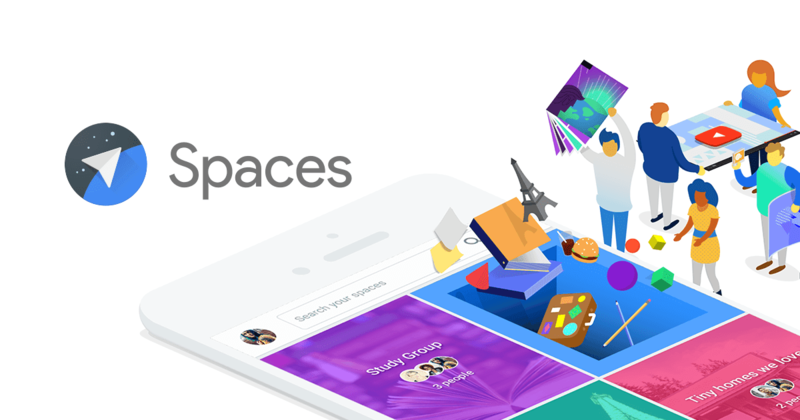 Google has recently launched Spaces,which is developed for group sharing.It's not the conventional messaging or social app/web like Facebook Meesenger,Hangouts or even WhatsApp like apps,it is something very different sharing environment. It is really helpful for Group works,planning any occassion or trip,creating a specific work or study group which will contain related web articles,videos and other contents. Let's checkout some features that they are providing. In Spaces,You can create different Spaces(Groups) on different topics just by one tap,It can be on any topic or work,in which you can add any web-post articles,YouTube videos,Images or even you can write down a long or short note in texts. Your invited group members can comment in the group and group conversation starts there. Spaces is more convenient because Google search,Chrome,YouTube and Google photos(Camera Roll too in Mobile Phones) are just in-built and you really don't have to open an application separately for it.Just be in Spaces and Share you interests and likes right from the place you're in! A quick Search box is given that you can easily search your old spaces,whether it's an image or an article shared. Spaces is available on web and apps are available for Android and iOS.So if your platform is still missing from the list then don't worry,You can easily get access through the web version.